During our two years in San Francisco, we did a crawl through the coffee scene and narrowed down our favorite spots to caffeinate at, including Sightglass Coffee. You may be familiar with this hipster, wifi-free coffee shop, nestled in Mission District. But what most people don’t know: it also contains the only affogato bar in San Francisco. Affogato Bar, from the owners of Sightglass Coffee, is located on the second floor of the local coffee roaster’s spot on Seventh Street. The menu includes a customizable affogato experience, with a total of 9 possible combinations. Sightglass offers three different single-origin espressos to pair with a changing list of ice cream flavors. 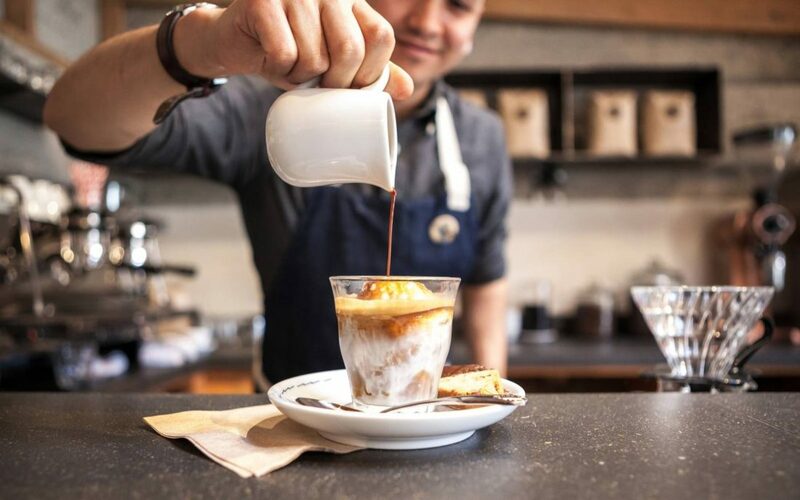 Affogato Bar has partnered with Portland’s Salt & Straw small-batch creamery to deliver artisanal ice cream choices year-round. Affogato Bar is located at 270 Seventh Street, San Francisco.